If any gin lover happens to be in the West Country this summer be sure to check out the Plymouth Gin Distillery’s Refectory Bar in the heart of historic Plymouth. International Brand Ambassador, Sebastian Hamilton-Mudge has devised a new menu with drinks that not only taste great but also bring to life the remarkable stories behind the brand. At the heart of the menu are four cocktails that tell the story of Plymouth Gin. 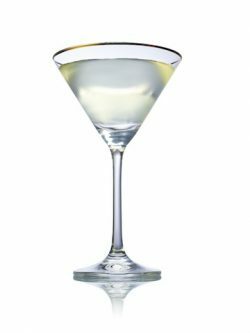 The Marguerite, a variation of the Dry Martini which was first recorded using Plymouth Gin, showcases the brand’s historic role in the creation of the world’s most famous gin cocktail; the Gimlet and Pink Gin both speak of Plymouth Gin’s association with the British Royal Navy, on whose ships these drinks were first created and finally the Gin Pennant is a modern cocktail devised by Hamilton-Mudge, with nautical tradition at its heart. The eclectic menu offers something for everyone and has been designed to challenge modern ideas of gin cocktails. From The Captain’s Table section is a collection of the Refectory Bar team’s favourites, including the Dartmoor Flip, made with a syrup of local Jail Ale. Recreating the communal drinking rituals among sailors in the 1600s, the Punch-Up on the Barbican section offers innovative group punches designed to be shared. With Love From The Savoy, meanwhile, celebrates the brand’s long history with the American Bar at the Savoy Hotel, proving to gin lovers that great drinks never go out of fashion. 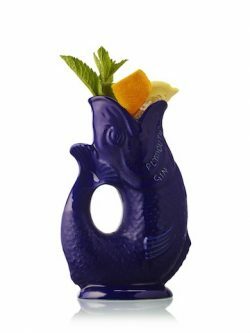 A final series of drinks – Stranger Things Happen At Sea – is a forward-looking collection of new and unusual cocktails. The Negroni 57, imagined by Hamilton-Mudge after a long day working at the Plymouth Gin distillery, is batch-made, bottled and charged with CO2, while the Ankle Snapper is a fun recreation of the classic Red Snapper, using fresh cherry tomatoes and cardamom. The menu also offers a group of non-alcoholic drinks, to which Plymouth Gin can be added according to personal tastes.